The Lake Windermere Ambassadors strive to be good stewards of their environment. This means taking care of the lake and watershed, and teaching others how to take better care of it as well. In the winter of 2016-2017, the Lake Windermere Ambassadors partnered with the Toby Creek Nordic Ski Club to pilot a new Whiteway Ambassador project. 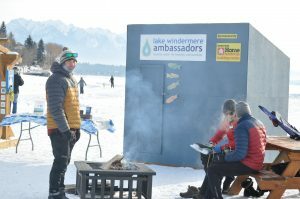 The partnership introduced a more consistent Ambassadors presence on the frozen lake, and cultivated awareness about winter water stewardship while also collecting donations for the maintenance of the “Whiteway” (Lake Windermere’s world-class skating trail!) by the ski club , a portion of which returns to Ambassadors programs. 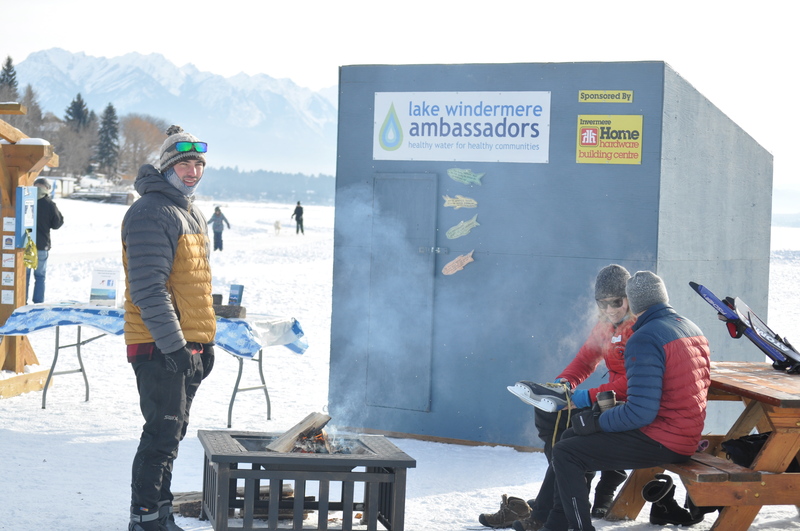 The Lake Windermere Ambassadors will continue to look for creative ways to engage winter users of Lake Windermere, using the Ambassadors ice hut, and through developing similar partnerships with winter recreation groups. Future activities might include winter season lake sampling, ice fishing demos, and interpretive skating activities on the lake. 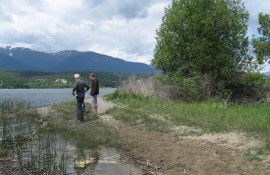 Our watershed stewardship education programs are made possible with support from the District of Invermere, Regional District of East Kootenay, Real Estate Foundation of BC and Columbia Basin Trust. 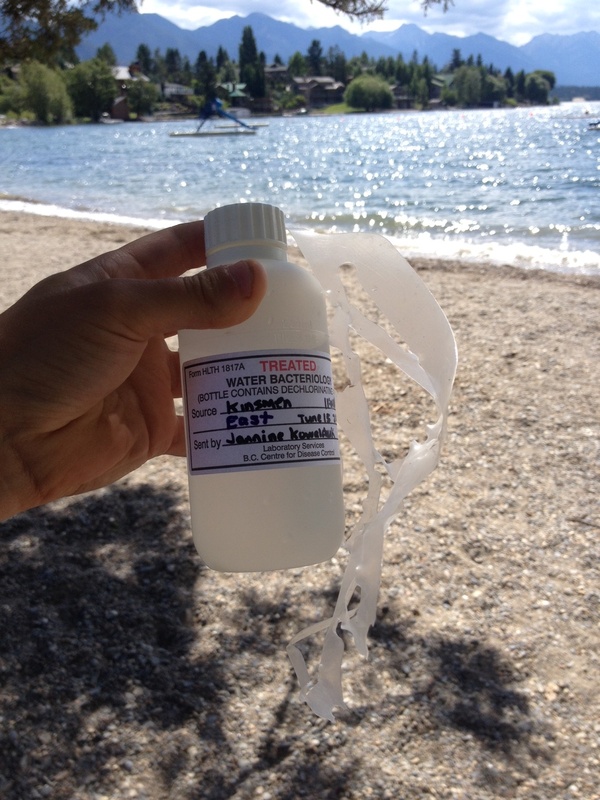 The Ambassadors measured elevated levels of Total and Dissolved Phosphorous in Lake Windermere in early 2014 and 2015. This prompted the beginning of a watershed-wide outreach and education initiative, to raise awareness about nutrient impacts in our watershed and to provide hands-on training for residents and businesses to learn how to sample for water quality as well as take steps to reduce their personal nutrient footprint. Click the button below to read our nutrient stewardship brochure! 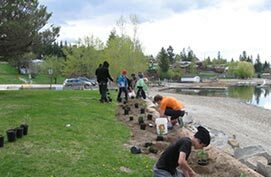 In the spring of 2013, community volunteers helped a class of science students from David Thompson Secondary School undertake an assessment of a few sections of Lake Windermere’s shoreline. This project was made possible through the financial support of TD Friends of the Environment and the Regional District of East Kootenay. 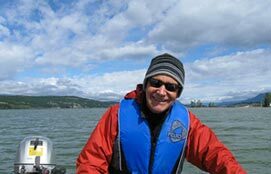 One of the reasons to be a lake steward is to protect intact, functioning lake systems – not just because we enjoy them now, but because if we lose them, they are extremely expensive to restore! Lakes around the world have been degraded to the point that they can no longer be used for drinking water or recreation. It is far cheaper to maintain a healthy lake than to restore a degraded lake. The article below provides more information about the services provided by functioning lakes, and the costs to restore them with the example of Lake Constance in Europe.